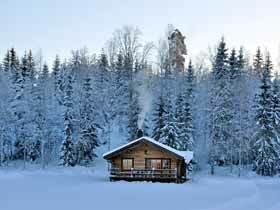 Deep midwinter or spring in the air for your snowy cabin or lodge adventure? 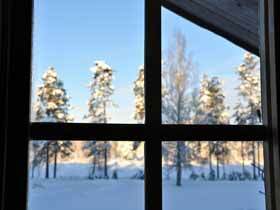 The winter season in the far north of Sweden of course arrives earlier and leaves later than further south. 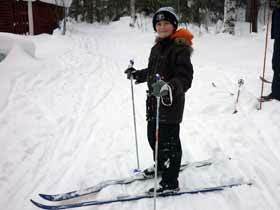 In Swedish Lapland, winter activities are normally possible from around mid-November onwards and the season continues until late April. 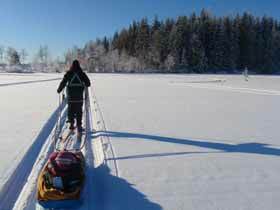 If choosing one of our experiences in the far north, anytime during the winter is a good time to go! 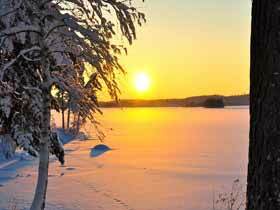 The deep midwinter period between November and January has a very special atmosphere, with the lack of daylight being very much an experience in itself. However, it is by no means completely dark at this time and the light has a wonderful blue quality. The snow, stars and the Northern Lights all lighten the landscape as well as hearts. Don't forget late March and April! For those of us in the UK, it's tempting to think of winter as just a distant memory by the time April comes around. 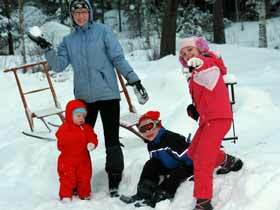 But in the north, late March and April can be one of the optimum periods for a winter adventure, with good snow conditions, long hours of daylight, and sometimes a higher incidence of clear skies. Further south the winter season is shorter, and for our experiences here the main winter season runs January-March, though in most years there is normally snow before Christmas in central Sweden. While the Northern Lights will probably not shine for you if choosing an option further south, a winter experience in these areas can be more easily accessible in terms of travel time (ideal for families) and offer a very traditional kind of winter holiday, whether seeking a romantic winter break or a family winter adventure. If you'd like a chance to see the Northern Lights, this is also possible anytime during the winter season up until around early/mid-April, after which the nights become too light for the Aurora to be easily visible.